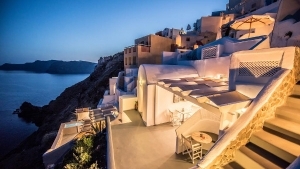 The Esperas Traditional Houses Studios and Suites complex in Santorini is located in Oia (Ia), a spectacular settlement on the northwestern part of the island. 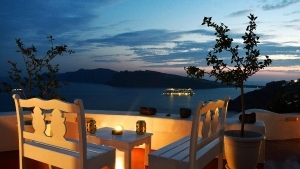 The hotel is perched on a cliff, opposite the famous volcano and the small volcanic islets, and offers great views of the Aegean Sea and the magical sunset. The Esperas Traditional Houses Hotel in Oia Santorini is comprised of 5 studios, 4 Esperas houses, 3 standard houses, 2 junior suites, 1 superior suite, 1 honeymoon suite and 1 Esperas suite, all of which are air-conditioned, tastefully furnished and decorated in the traditional Cycladic Islands’ style. 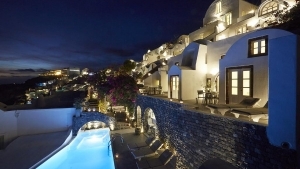 The Esperas complex provides a swimming pool and a pool bar, free wi-fi, and high class services that will make your holidays pleasant and comfortable, ranking it among the finest Oia Hotels in Santorini. All indoor facilities are fully air-conditioned.